This Sunday, November 18th, UJA Federation of Greater Toronto is sending a special fly-in to Israel to demonstrate our solidarity with the people of Israel during this critical time. As part of this fly-in, participants will be part of a live broadcast which will be transmitted back to Toronto, and will be seen by the thousands of Torontonians participating at UJA Federation’s Rally for Israel, being held on Monday night at Beth Emeth Bais Yehuda Synagogue. 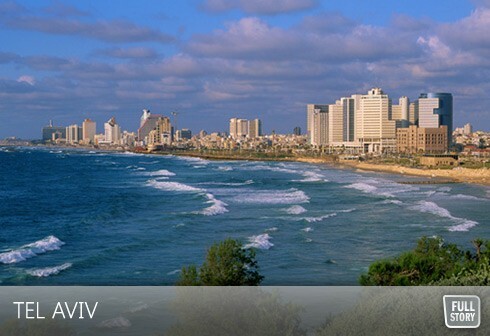 Fly-in participants will stay at Tel Aviv’s Intercontinental Hotel, visit UJA Federation’s partnership community of Bat Yam, and receive key updates on the current situation as they unfold with retired Colonel Miri Eisen; Iranian and Middle East scholar, Meir Javendafar; Member of Knesset, Yochanan Plesner; journalist Khaled Abu Toameh and Professor Reuven Hazan. Participants will host children from Sderot and provide them with much needed respite. Cost of the full land and air package in economy with Air Canada is approximately $2850 per person based on double occupancy. Due to the short notice of this fly-in, which will take place November 18-22, 2012, anyone interested in registering should contact Aviva Malka at amalka@ujafed.org ASAP! We hope you will join us for this unique opportunity!